With the ‘Chile Five’ suspended and Mauricio Isla out injured for the rest of the season a relatively unfamiliar La Roja XI came from behind to draw 1-1 with a strong Ghana side in Philadelphia. With six Universidad de Chile players selected there was a degree of understanding in the squad in terms of partnerships and style of play. 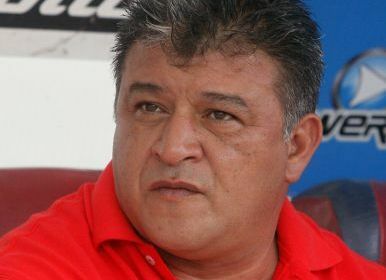 Four La U players found starting berths as Osvaldo González and Jose Rojas lined up beside a former comrade in Marcos González in defence; changed days from the usual trio of Waldo Ponce, Gonzalo Jara and Pablo Contreras. Matías Fernandez played ahead of an in-form midfield duo of Marcelo Díaz and Gary Medel. 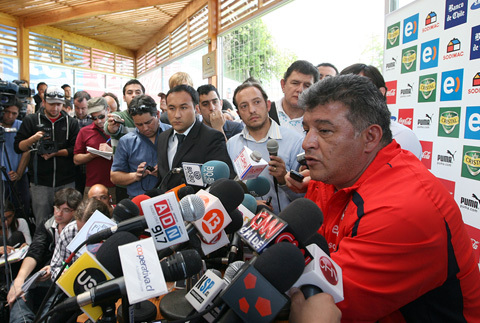 Matías Campos Toro and Charles Aránguiz were stationed on the wing. There was no place for Napoli’s Eduardo Vargas as Humberto Suazo partnered Alexis Sánchez in attack. The Black Stars went ahead four minutes before the break through first-half substitute Richard Mpong, sending the sodden Ghanaian fans into raptures; warming themselves up in the process if anything else. Sulley Muntari shrugged off the attentions of Gary Medel to give himself enough time to locate the run of Mpong with perfectly executed whipped pass around the backline on the wet surface. All Mpong had to do was run onto the ball and slide it past Claudio Bravo first time. With a host of big names missing Claudio Borghi has named a predominantly home-based squad for the upcoming friendly with Ghana on Wednesday the 29th of February in Pennsylvania, United States. Twelve of the 21 players selected ply their trade in the Primera División, and of that 12 half play for Universidad de Chile. And with six first team players called up it has caused a predicament for Jorge Sampaoli with La U pencilled in to play Cobreloa on the28th, a match rescheduled from the opening day. 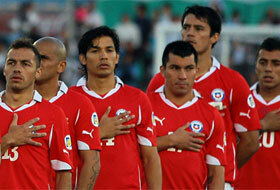 Of course the ‘Chile 5’ are suspended while injuries have limited defensive options. Yet with 10 goals conceded in four World Cup qualifiers it gives ‘Bichi’ a chance to look at alternative options as he strives to give his expansive system a solid base. Audax Italiano’s Lucas Domínguez and O’Higgins’ Luis Casanova are unfamiliar names that have been given call-ups in defence.